Hey there everyone! This morning I was wondering what I could write a post on because I don't have any outfit, review, or weight loss posts lined up and I didn't want to write about Okinawa again. Then it struck me I should write up a little tutorial and review on the Shopping Service called Tenso. I recently purchased several things using this service so now is a great time to talk about it, while it's still fresh in the mind. I posted a picture of my new Swankiss cosmetic print set-up I purchased a couple days ago on my instagram and received some questions as to how I went about getting it. Swankiss doesn't ship overseas but they do have a small webshop and that's where Tenso comes in particularly handy! Tenso.com is a shopping service for Japanese goods, basically they are a forwarding service so you can purchase items from Japanese websites that only ship within Japan. The basic flow goes: You sign up with Tenso and they provide you with their shipping address, You order items, they are sent to Tenso's address, Tenso checks the items and then ships them on to you! You order the items initially with your own credit card, paying for the shipping to Tenso's warehouse. Then you make a second payment with paypal for the service fee and international shipping. 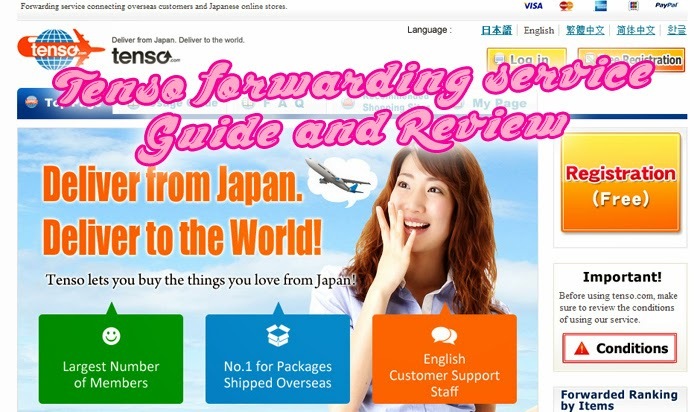 The most difficult part is getting the Japanese address setup on whatever websites you're buying from, but even that isn't very hard as Tenso provides examples of how to do it! First you need to sign up for Tenso, their website guides you through the process very well so I don't think I need to explain that part. But they do require you to verify your address by sending a copy of your ID card/license etc. Make sure to do that ASAP so you can start shopping right away haha. You will receive your "Address in Japan" which is Tenso's address plus some unique numbers to identify the packages as yours. Next you must create member accounts with whichever webshops you will purchase from, in my case I have accounts at Fashionwalker, 109net shop, Amazon and Yumetenbo. On your Tenso homepage in the righthand column there is a link "How to enter your address" just follow that! 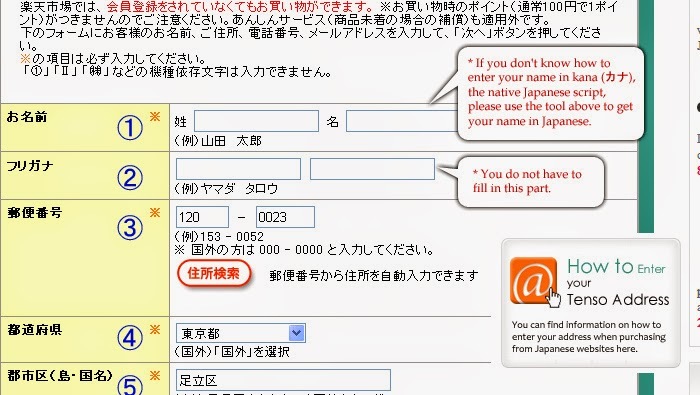 Some websites ask for your name written in Kanji and Kana when registering, you can use the roman alphabet to type your name in the Kanji input boxes! Then the webshop will send you a confirmation email and you can start buying! Tenso will receive your purchased items and notify you with their service fee (490Y for up to 1kg) and the shipping fee to your house. You can see your list of pending shipments on your Tenso homepage, you simply click on them and are prompt to pay via paypal. Then you will get a notification email once they ship out, it's a very easy to follow/use process! I am overall happy with my experiences with Tenso so far, the customer interface may not be the most modern but it is easy to do and everything moves along very quickly. I was very easily able to make purchases on Japanese websites and imput my Tenso address, I received notifications everytime Tenso received, processed and shipped my orders so I was never left wondering where my stuff is or what's going on. 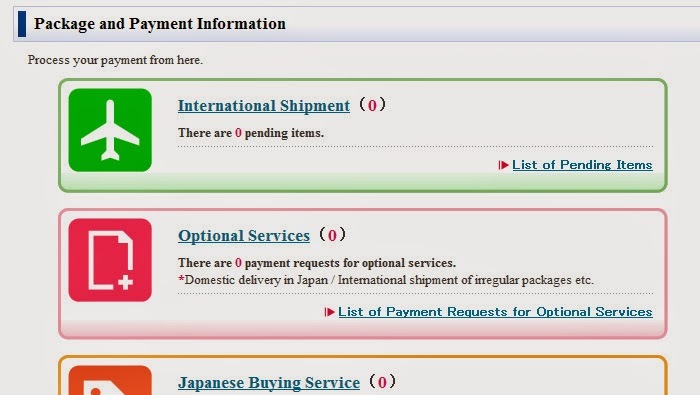 The system for paying the international shipping and fees seems like one step too many but you are guided through it nicely and I never felt unsure of what I was doing. The shipping is very fast, they use EMS so my packages arrived with 4 or 5 days! It's very exciting to get your items so quickly haha. Their fee schedule is very reasonable check it out here, if you order from Fashionwalker, Amazon etc that have free shipping in Japan you really are only paying that 490Y (If it's less than 1kg, all my orders have been well under 1kg so far haha) extra to get Japanese goods! So I certainly recommend Tenso for ordering items online! It's super reasonable and very easy to use. If anything it's too easy as you begin to realize so many of the things you want to get are very available... haha! © Sara Mari - J-fashion lifestyle. Design by MangoBlogs.